Top view of Horse Crippler with fruit. Side view of Horse Crippler with fruit. 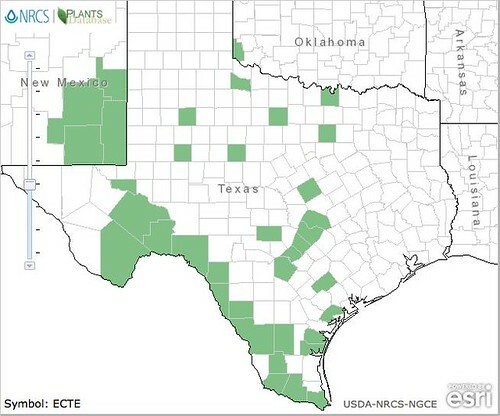 Hiding low in the grasslands of the southwestern counties of Texas as well as randomly in other arid prairie locations, Horse Crippler Cactus is a boobytrap waiting to puncture the foot of the unwary. 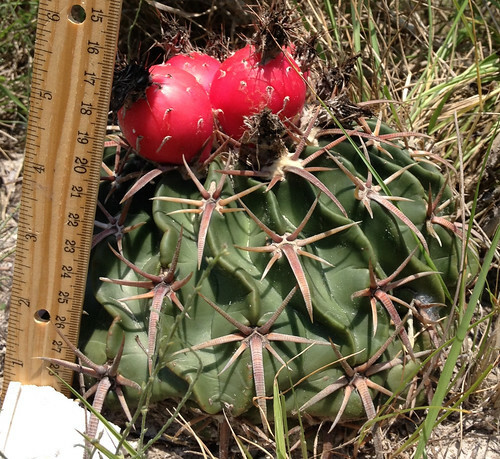 This low, dome-shaped cactus grows only 1-2 inches tall but up to a foot across with a lifespan measure in centuries! 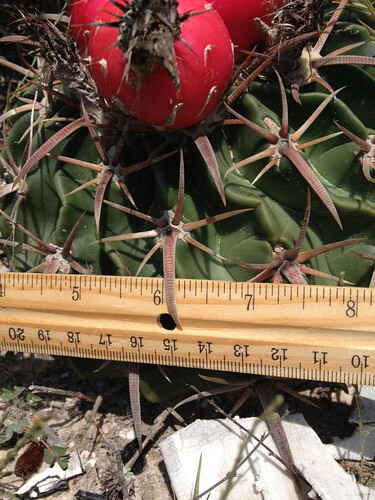 These cacti are covered with clusters of seven or so wicked thorns, one of which will be 2-3 inches long while the others will only be about 1 inch in length. 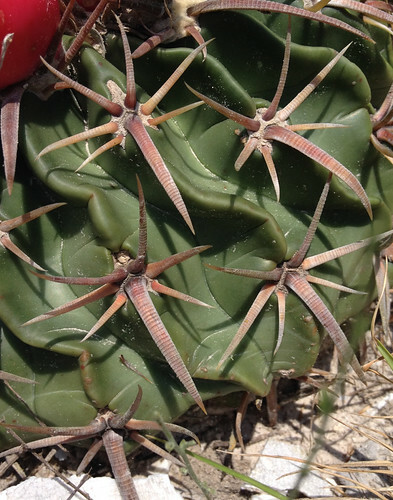 Most of the thorns will have a slight downward curve. 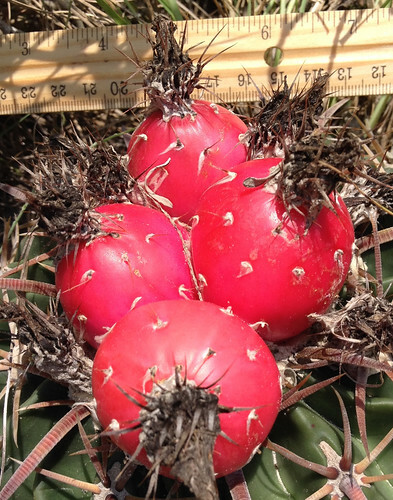 Horse Cripple Cacti can bloom in spring through summer and these flowers have red centers surrounded by duo-toned, pink or light purple petals which open during the day but close up at night. 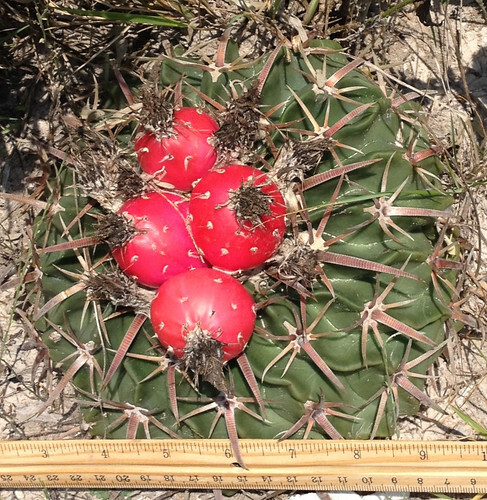 The ripe, red fruit looks very similar to the "tunas" of prickly pears and are used the same way. The flavor of these fruit is more subtle than that of prickly pears but still delicious. Due to the numerous seeds, I prefer squeezing the juice from these fruit then boiling it down into a syrup. The seeds can be collected from the fruit, roasted, then boiled into porridge or ground into a gluten-free flour. 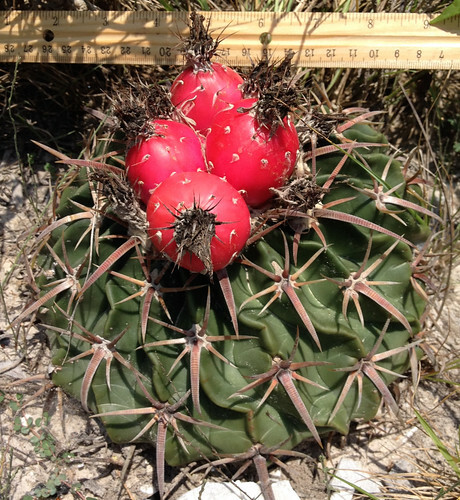 Horse Crippler Cactus transplant easily into WELL drained pots and will love the hottest, direct sunlight Texas has to offer. 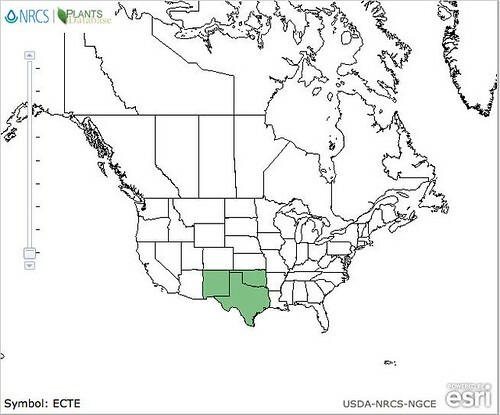 They love the south or west-facing, wind-swept balconies of apartments where any other plant would shrivel up and die.